Dark lavender flower clusters are held high above deeply dissected foliage. 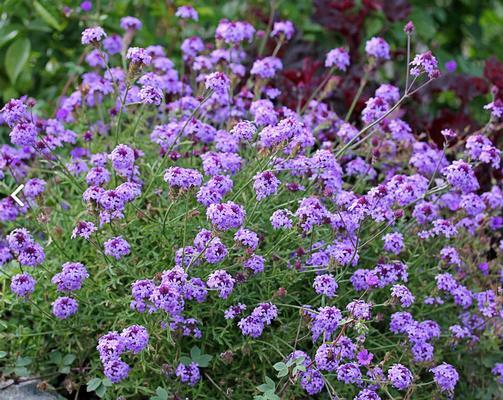 Reminiscent of Verbena bonariensis. Drought tolerant. Ideal for mixed containers and flower beds.